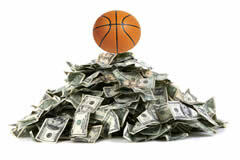 Bookmakers who use Pay Per Head agent services are quickly learning the ups and downs of players who bet on Football and Basketball Teasers. Available on both college and pro leagues, spreads and totals, teasers allow the player to adjust the line in their favor by 6 points, 6.5 points or even 7 points by combining the results on two or more games. Sweetheart or Super Teasers as they are sometime known, allow an even bigger adjustment by as many as 10 points on 3 games and 13 points on 4 games. Teasers are one of those specialty wagers that local bookmakers who ran their own lines would traditionally not offer to players. One of the big benefits to using an offshore PPH sports office is that agents no longer have to worry about the agonizing process of grading all their own action. When you have hundreds of bet tickets sitting on your desk the last you want to do is perform payout calculations on multiple games at 2 am in the morning. However, some local agents are reluctant to dive into the teaser action. After all, who wants to give players an extra 6 points on a side or total when it seems tough enough to beat them on the official line! Here is simple breakdown of how teasers actually work in your favor and why you should offer them to gamblers. First of all teasers require the player to win multiple games. Any bookmaker who has been around long enough knows that picking multiple winners to determine one winning result is a fool’s game and the odds are definitely in their favor. The odds are terrible. Players may get the extra points to play around with but even when they win they don’t win nearly as much as they would on a parlay for example. Smaller teasers and Super teasers require the player to lay as much as -130 to -150. 5 and 6 team teasers might payout anywhere from 4 to 1 or 5 to 1 which are not great risk/reward odds. Teasers can be customized to an agent’s specifications. For example; ties can be designated as losses and the number of Totals or Spreads can be controlled. Odds can also be adjusted to whatever the agent wants to pay. Teasers generate more action which means more profits for the agent. Players who bet teasers will typically place a straight bet along with putting the team in a teaser and even a parlay. Sure, if they win they win big but they also lose big and with teasers they will need multiple winners before they can cash in. Teasers aren’t for everybody. From time to time bookmakers will have certain players who always seem to do well. They might not be professional gamblers or wiseguys but they certainly don’t need any extra edge. These players are easy to spot as they will generally stick to 2 team 6 point teasers laying -110. Your PPH service can customize individual player profiles to either increase theior odds or shut down their teasers action without affecting your other players. Teasers can be painful to deal with but just keep in mind that they are designed to give maximum leverage and for the majority of gamblers they are a sucker bet that will make you money!